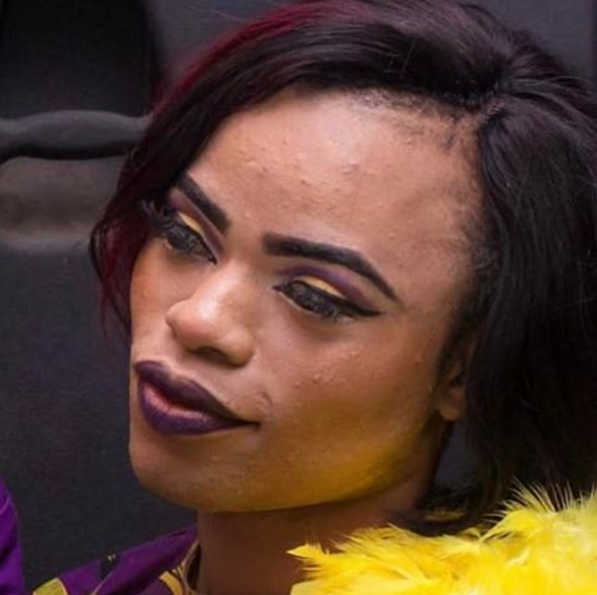 Bobrisky will not have anyone bully him because of his sexual preference. 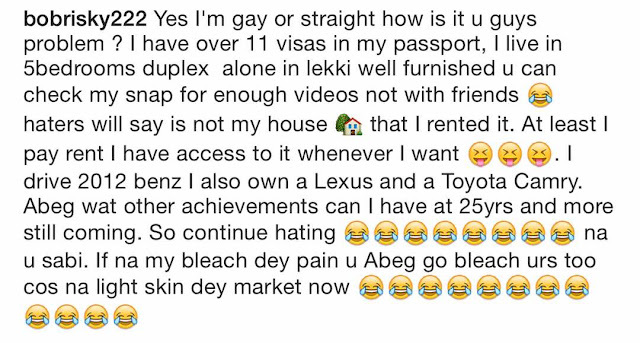 He took to Instagram to show off his 'flawless' skin then said he has 11 visas on his passport and lives in a 5 bedroom house. 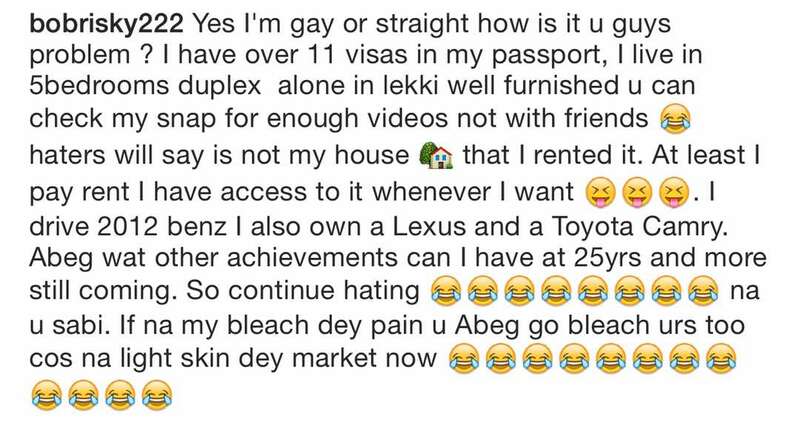 Ok read his story below...me I don't have strength today!